Hi, Welcome to the site for Women's Tennis. I have been a fan of tennis for three years ever since seeing the Williams sisters first match against each other at Wimbledon 2000. Since then, I have been fascinated by women's tennis matches and players. I like to watch the men but the women to me are more interesting. They all have their own colourful personalities and distinguished playing styles. It is true that women players do get more recognition and publicity (still not as much as they could) because of the Williams prominence, but it wasn't always like this. As Billie Jean King has said, "We have come a long way!" Here's a tribute to women's tennis players and their contribution to the grand game! The first thing I did after seeing the Williams sisters match in Wimby 2000 was to explore the internet. I did not find much. I think the seeds were sown at this time in my brain to create a page and start this crusade for exposing women's tennis to more people. I found a copy of Tennis magazine and found a few online places with books and videos. I knew of Martina Navratilova of course and bought her biography. I actually used to look at this way back in High school in the library. It was intriguing to me, but I did not feel I wanted to enter the tennis world yet. I then heard of her matches with Evert and found a few tapes of those. While looking in the libraries I found many books including "We Have Come a Long Way" by Billie Jean King and this exposed me to the long history of women in tennis. It was fascinating that there were so many players that you do not hear about these days. 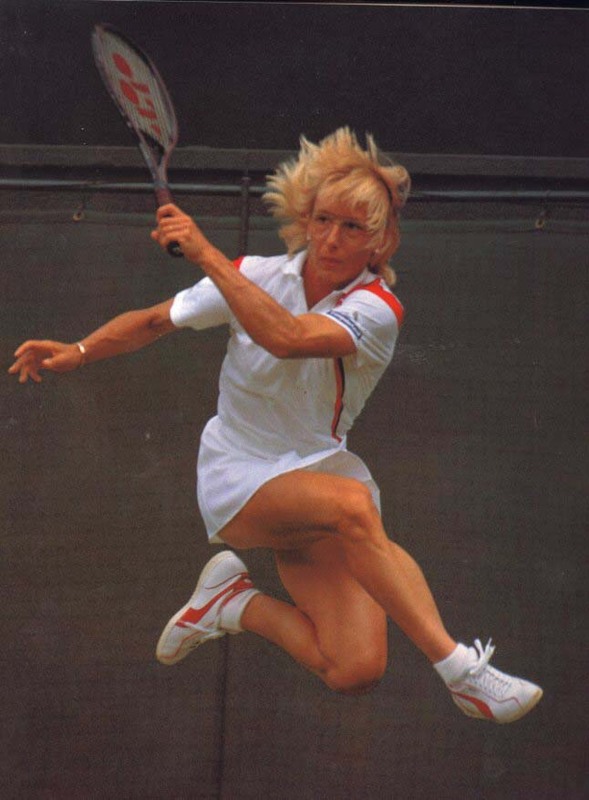 I was able to learn more about players in the last generation such as Evonne Goolagong, Margaret Court, Rosie Casals, Virginia Wade, Tracy Austin, Pam Shriver and many others. They indeed have come a long way and it was inspiring the lengths that Billie Jean and Rosie Casals went to in furthering the exposure of womens tennis. One of the best examples is the way King took on Bobby Riggs at the "Battle of the Sexes" match in 1973. She didn't really want to play, but she HAD to play. 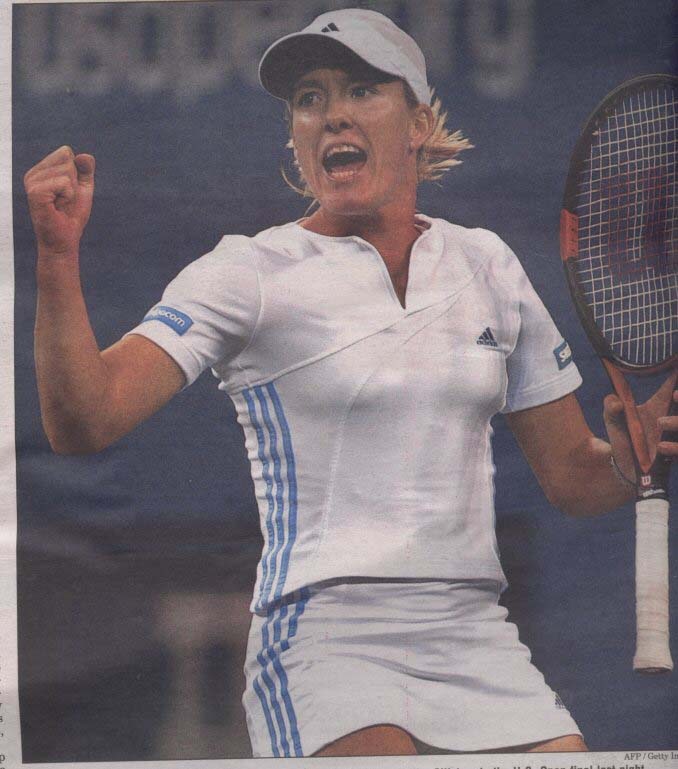 If she didn't ( or if she lost) she would have set women's tennis back about ten years! Right now this site will concentrate on the Open Era (1968- ), as I learn more about the early years I will add to this site. As you can see there are sections . There is also results of the great tournaments, photo gallery, links and I hope to include articles from old newspapers, and a discussion forum. The greatest shot of the greatest player of all time!